New Delhi : After remaining suspended for over a week following Pulwama Attack in Srinagar, the weekly cross-LoC bus service - Carvan-e-Aman (procession of peace) - resumed its operations on Monday in Poonch district. 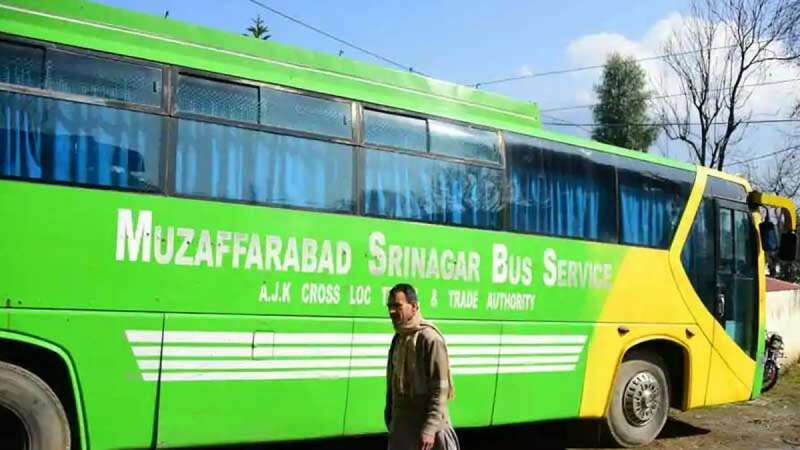 According to the officials, a total of 13 passengers availed the bus service - five returned to Muzaffarabad in Pakistan-occupied Kashmir (PoK), and eight to reach Kashmir. “The service was resumed after a week on the instructions of top officials,’’ a senior officer in Uri said. Earlier, Union Ministry had ordered the suspension of the bus service in view of the ongoing tension between India and Pakistan following the Pulwama terror attack on February 14, which killed 40 Central Reserve Police Force personnel. The India and Pakistan had launched the bus service way back in April 7, 2005, to allow the relatives, living in the two parts of Kashmir and divided by the Line of Control (LoC), to visit each other. The bus takes Muzaffarbad-bound passengers to Uri where the passengers are allowed to walk to the other side from where another bus from PoK side completes the journey.